Liverpool star joined his new teammates at Lazio for preseason training camp after his move from Anfield was completed. The 30-year old is expected to serve as the replacement for Lucas Biglia, the Argentine midfielder who moved to Serie A rivals, AC Milan. Simone Inzaghi, who led the team to a fifth place finish last term, is ready to compete in the Europa League. This made the manager seek out experienced players that can help their continental hopes. Leiva joined Liverpool from his home side Gremio in 2007 for £5 million. After a decade, he moves to Lazio for the same fee. The former Brazil international said he had to move elsewhere to get regular game time as he fell in the pecking order at the club. The versatile player can feature in central defence, as a full back and even in midfield. He was a fans’ favourite for his blend of lovable social skills. He bonded with the club, the fans, and the city. It was just natural that he transitioned to a new role at Liverpool, say as manager or academy coach – like Jurgen Klopp sees in a few years,or left to get more playing time. Jordan Henderson, Emre Can, and Georginio Wijnaldumwere ahead of him in the pecking order. 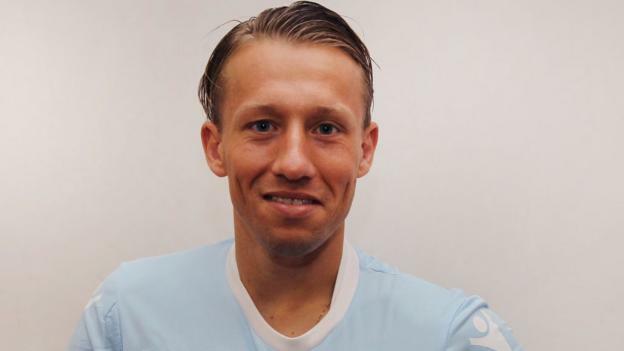 Klopp said Leiva asked for the transfer as he understood the tight place the club was in. “When he left, we both had a little tear in our eye. It was really a special moment. For the team, it’s difficult. It’s the age and it’s life,” Klopp said.